I always think that it must be difficult for English Catholic congregations to step out of their often small, undistinguished churches, into the shadow of the huge medieval churches that were once in their care. A case in point is at Cromer, a few miles from here, where the medieval parish church has the tallest tower in East Anglia. Catholic Priests ministered to the parish churches of England until the final break with Rome in 1557, but after that they fell into the care of the new protestant Church of England, and celebrations of the Catholic Mass became punishable by death. How strange now to think of lost Catholic England! Of course, many other countries experienced the Reformation, or religious discords of their own kind, even wars; but only England sees its past refracted through the puritan fire of the 17th century. 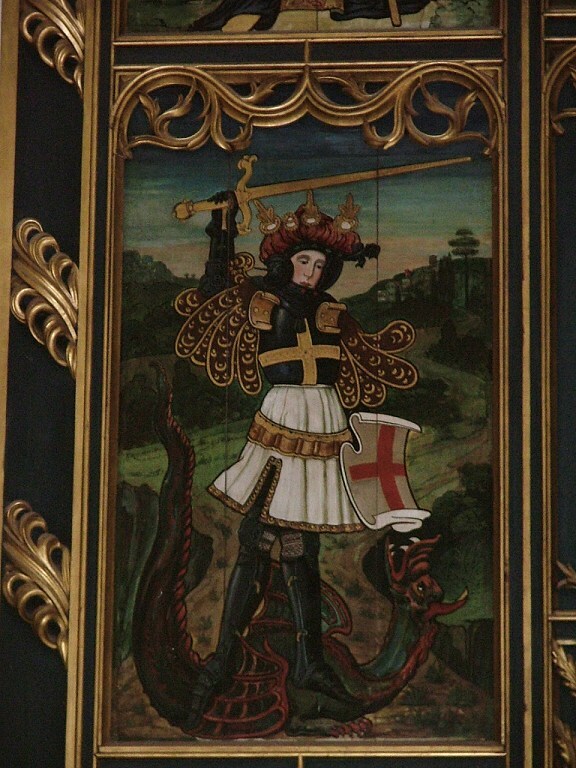 England is a nation which, for much of its early modern history, was virulently, even pathologically, anti-Catholic, a culture in which, for several centuries, there was a strong suspicion, even hatred, of Catholicism and Catholics. 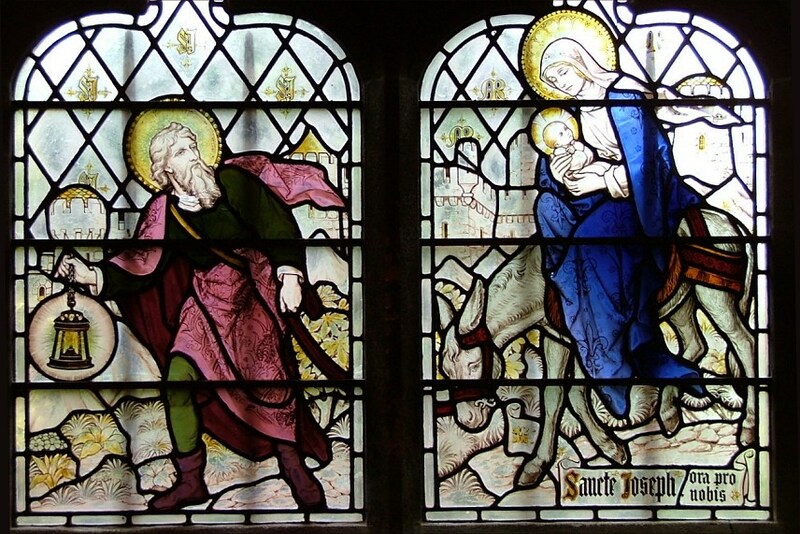 Catholicism survived in Norfolk, just; often supported by the network of recusant landed gentry, it re-emerged as a missionary force in the 18th century, to be finally decriminalised by a succession of reform acts between 1780 and 1836. 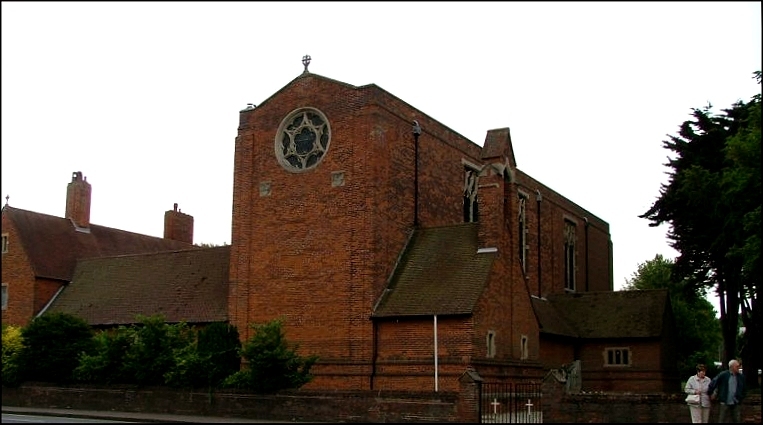 Between these two dates, several Catholic churches were built in East Anglia which survive to this day, but it was only after 1836 that Catholicism was able to develop in earnest, and the re-establishment of the Catholic hierarchy in 1850 led to renewed confidence, and a nationwide pattern of parishes. Even so, Catholicism returned late to the coast of north Norfolk. I am completely indebted to Canon Edward MacBride's marvellous history book The Catholic Church in Sheringham for the background of what happened. 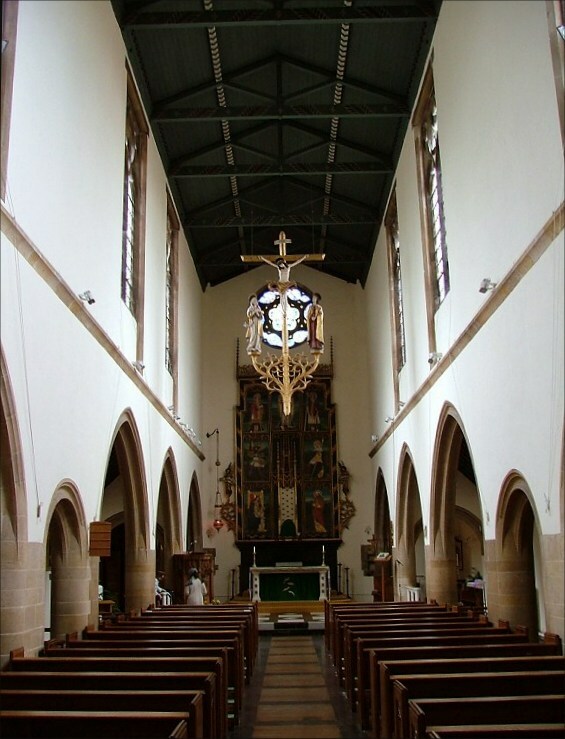 Today, when the Catholic church provides the largest single body of worshippers in England, it is hard to conceive that the area had not a single worshipping Catholic community at the time of the 1851 census of religious observance. As late as the 1930s, the town of Holt, which is in Sheringham parish, had just one practicing Catholic, who walked over the heath each Sunday to attend Mass. The first proper Catholic church in the area since the Reformation was built at Cromer in 1886, but there was such opposition in the town that it had to be built out in the suburbs on the road to Overstrand. There was no resident Priest at Cromer. The Diocese of Northampton provided a Priest in the summer for the benefit of holiday makers at the request of Clement Scott, the inventor of 'Poppyland' and developer of the holiday industry in this part of Norfolk. The Priest, from the church of St John the Baptist in Norwich, now the Cathedral, would arrive by train to say Mass, but in 1902 the increase in population led to Cromer, and thus north Norfolk, having its first resident Catholic parish Priest for almost 450 years. He also said Mass at a private house in Sheringham, and in 1908 a small chapel was built on the Cromer road there. 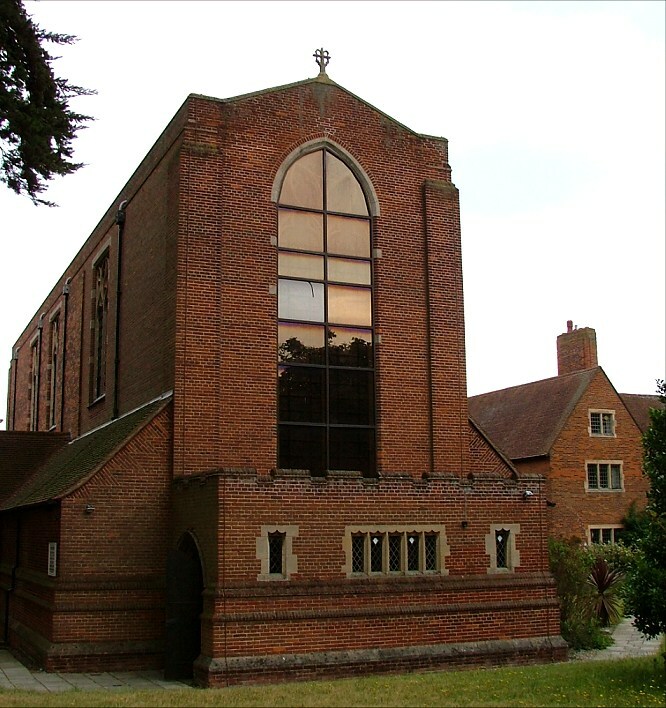 It survives today as the Blessed Sacrament chapel of Our Lady and St John, the long low structure you can see i the middle of of the photograph on the right, joining the modern church to the presbytery. The story of Sheringham Catholic church gathered strength in 1909 with the donation of more than £3,000 to purchase the land around the chapel and build a large church. The befactor was Catherine Deterding of Kelling Hall, wife of the managing director of the Shell Oil company, although her identity was not revealed until after her death in 1916. The commisioned architect was one of the greatest of the day, Giles Gilbert Scott, busy on his greatest triumph, the Anglican Cathedral at Liverpool. 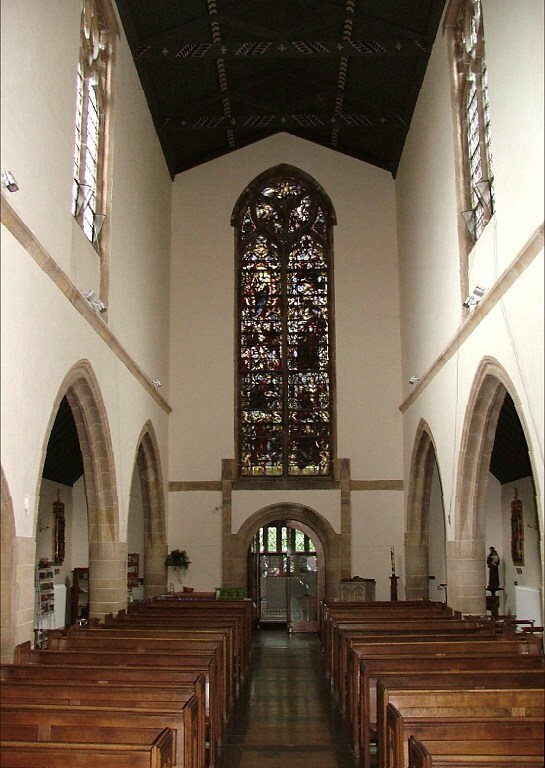 The church was built in two stages, the northern two-thirds opened by the Bishop of Northampton in 1910, and the southern extension completed in 1936. From outside, you can see the join clearly. The vast red brick church towers over its neighbours, recalling the presence of Scott's Bankside power station in London, now Tate Modern. The north end, liturgical east, has a high rose window, the north and south sides being flanked by sets of three vast Perpendicular-style windows. 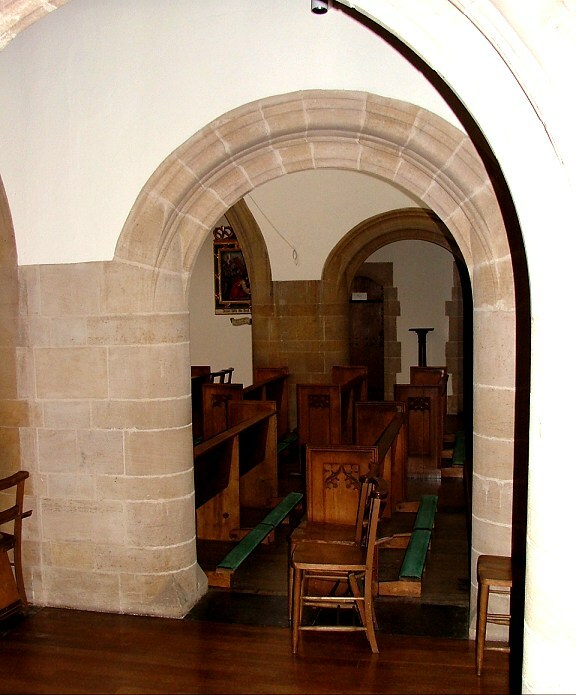 You enter from the south-west corner, through a porch and into a narthex. 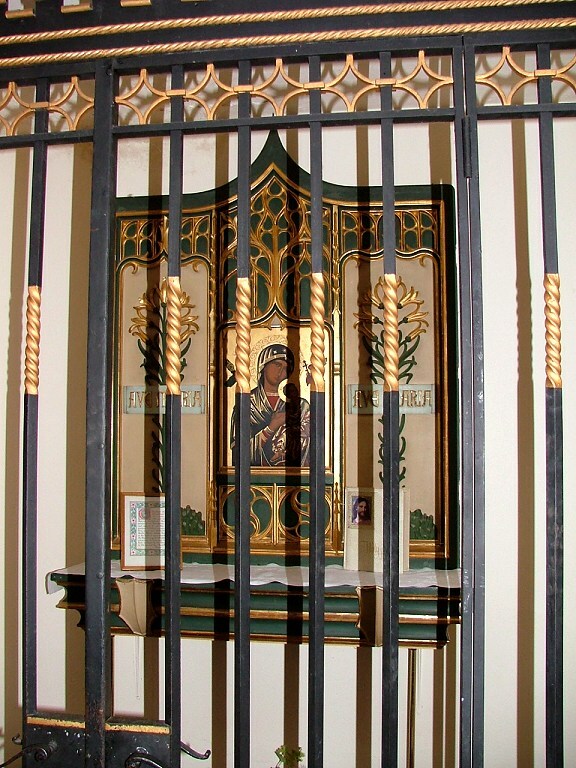 A grilled area to the east contains a large framed icon of the Blessed Virgin. 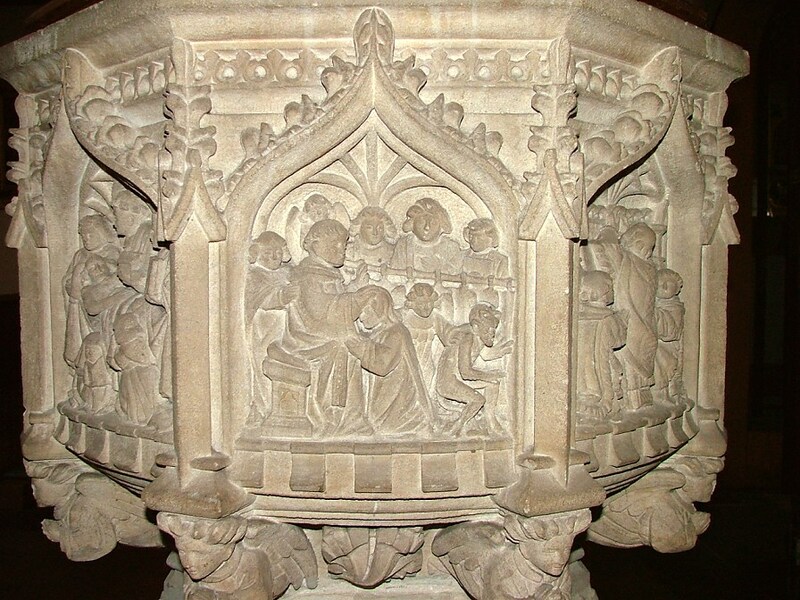 This was once the baptistry, but the font was moved into the body of the church in response to the requirements of Vatican II. And then you turn northwards, into the church itself. I had been looking forward to the experience of stepping into St Joseph for a number of years. I had first come across the church in the early 1990s, in the days when I could still be bothered to read Private Eye. It had been the subject of ongoing criticism because of plans to reorder the church in the light of Vatican II. This reordering was happening quite late, because of the importance of the architect involved and the fairly drastic action that was about to take place. The problem was the marble high altar, which was set against the wall. The sanctuary is raised up, and there was not room to have a second altar in front of it to allow for masses to be said facing the people. 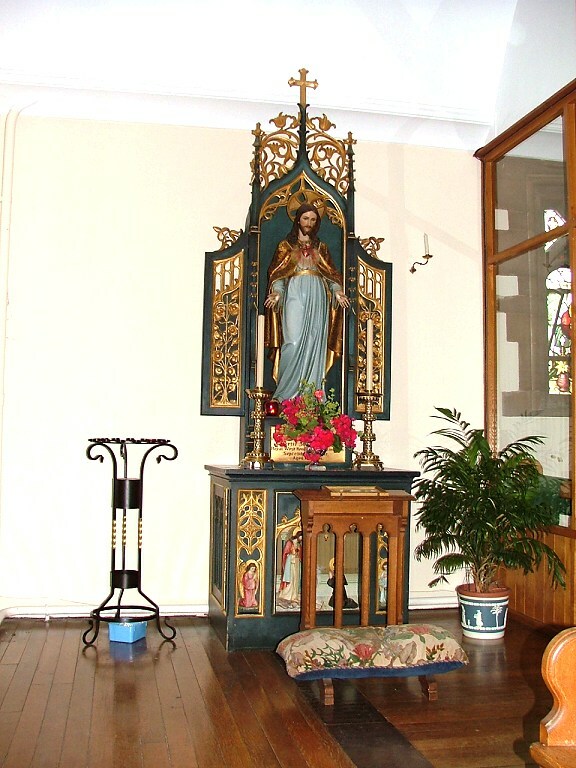 However, it was not possible to move the altar forward, because it was too long. 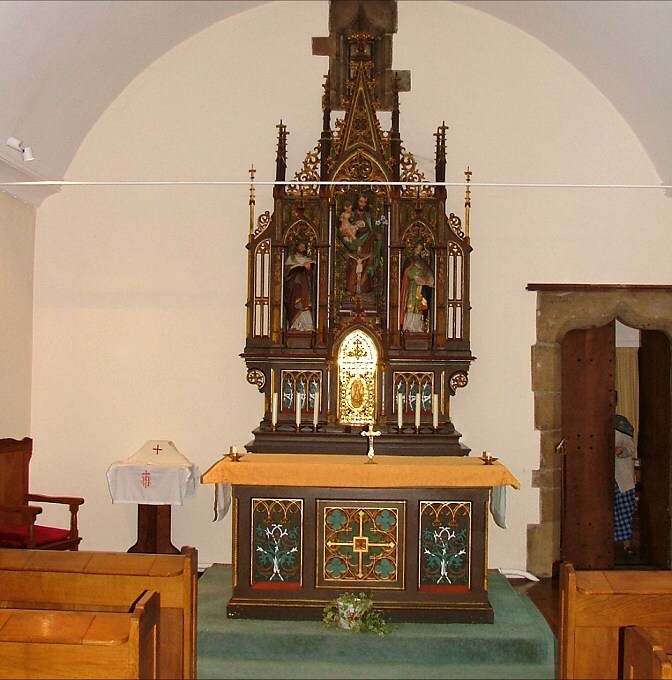 In the end, it was decided to shorten the altar by removing the reliquary underneath it. This sounds drastic, but everyone I'd spoken to who had visited the church since told me how wonderful it was inside. And so it is. You step into dimness, and then the length of the building opens up before you. The most striking thing is the height and narrowness, which accentuate the arcades which are also tall, the arches alternating in size. There is a feel at once of both the Arts and Crafts movement and the serious industrial Gothic for which Scott was famous. 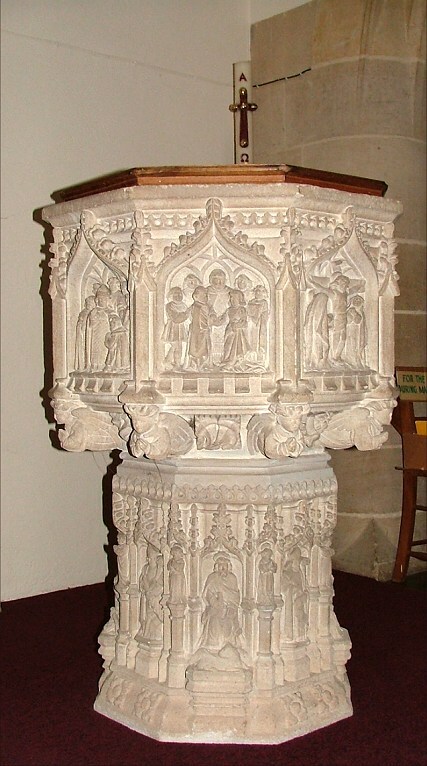 The apparently medieval font just inside the door is, in fact, a superb copy of the Little Walsingham seven sacraments font. As you wander towards the sanctuary, there is a growing feeling of excitement. This church is an absolute treasure trove of early 20th century art, particularly of the 1920s when it was being enthusiastically furnished. This walk culminates in the great altar piece of 1910. 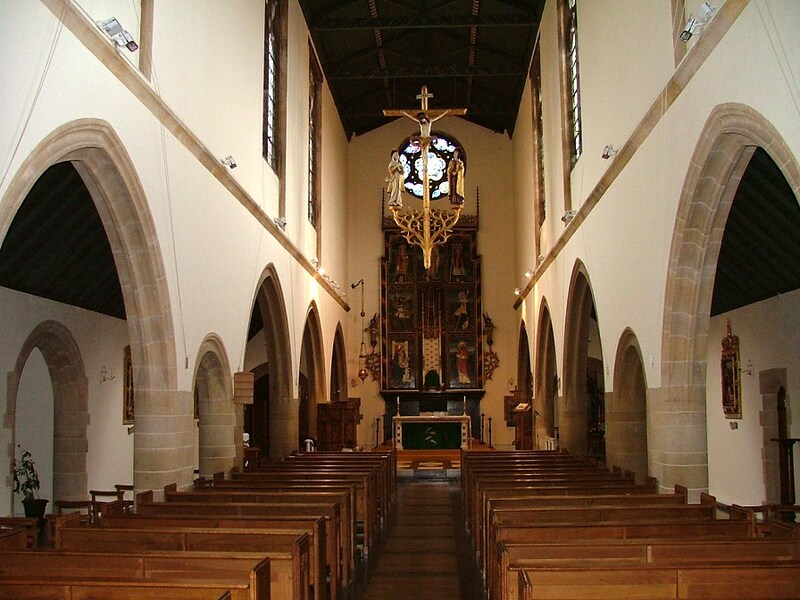 Seeing the sanctuary now, it is hard to think that the reordering was ever controversial. 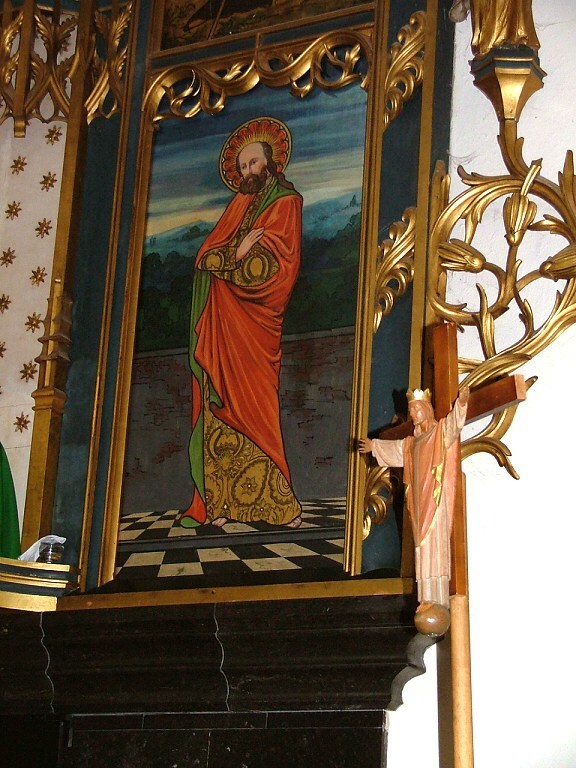 The reredos does look slightly awkward, it is true, without an altar beneath it. 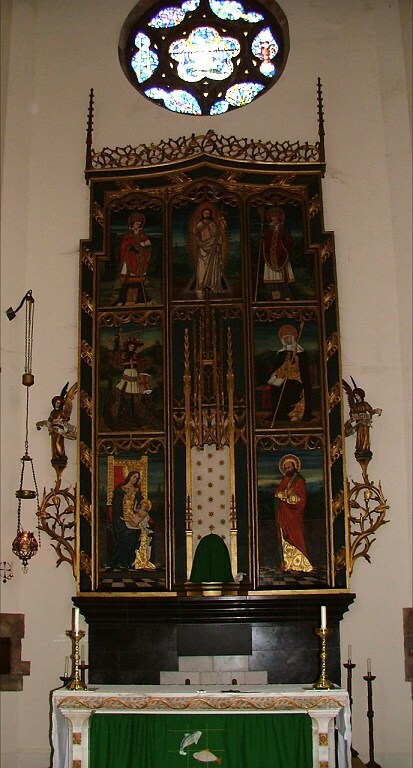 Five of the panels are copied from the Ranworth screen, the addition being St Joseph in the bottom right corner, and a seventh panel, Christ in Majesty, up at the top. 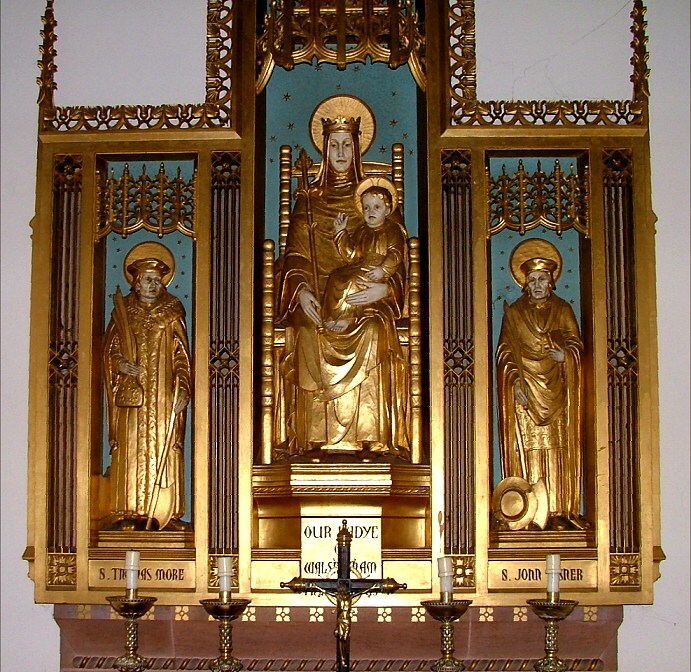 The original church is now the Blessed Sacrament chapel, but retains its first altar piece, a high gothic confection with a statue of St Joseph holding the infant Christ, flanked by St Cyril and St Methodius. 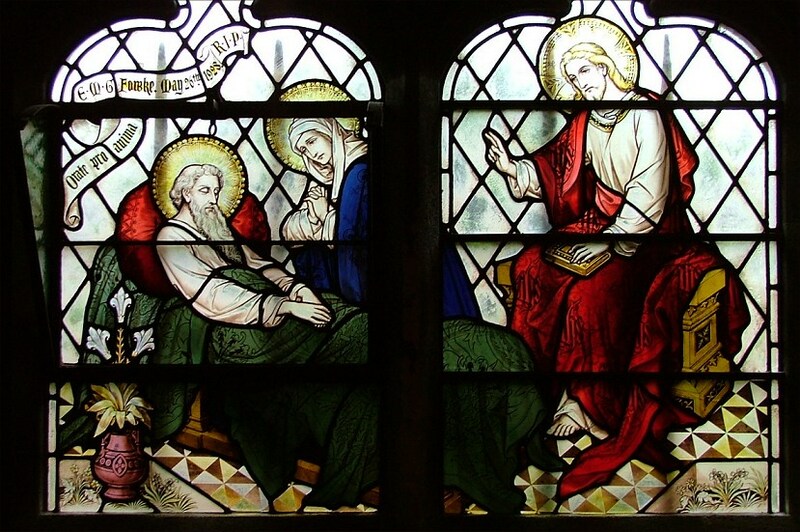 This chapel has good glass - on the north side are the Flight into Egypt, and a curious deathbed scene depicting Christ and Mary attending the bed of a person who must, I think, be intended as the memorialised. 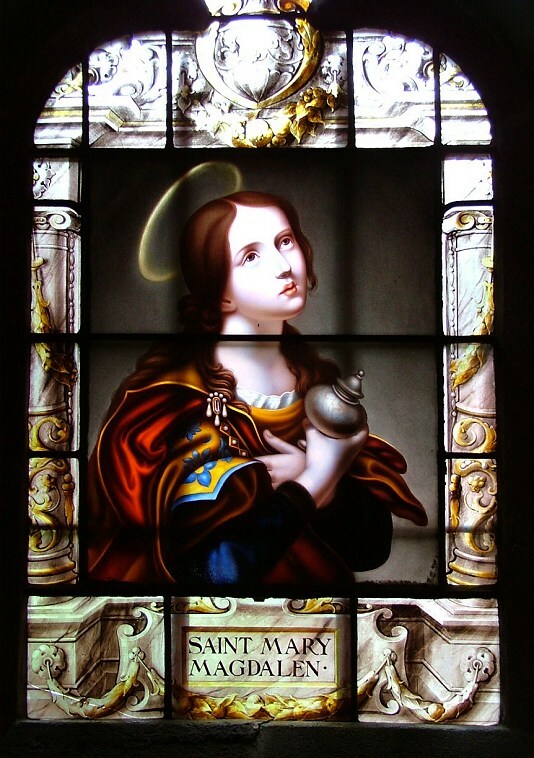 Across the chapel is a beautiful and interesting painted glass of St Mary of Magdala. This must have come from elsewhere, because it is older than the church, I think. Stepping back into the new church, the arcades disappear into dimness thanks to the huge, dark expressionist window at the south end. It does not let in much light. Halfway along the west side is the lady chapel, and this is worth more than a second glance. 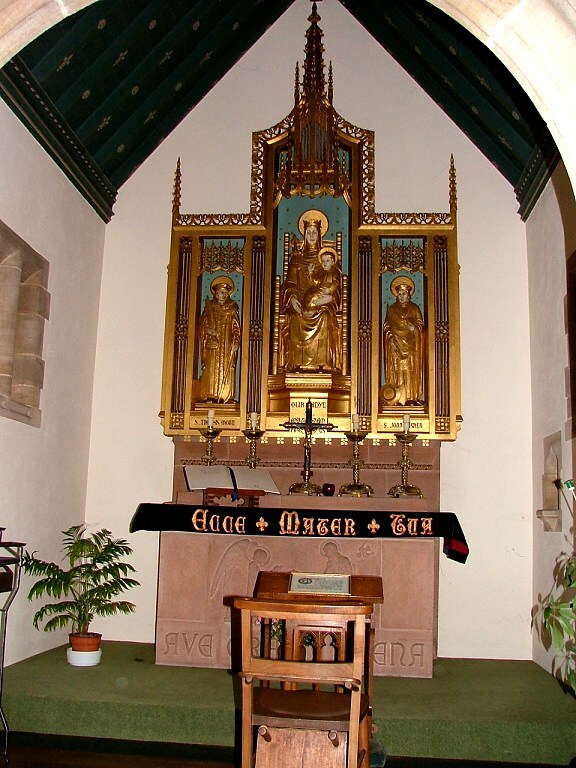 The altarpiece depicts Our lady of Walsingham flanked by St Thomas More and St John Fisher, but the real star of the piece is the relief of the Annunciation on the front of the altar, which is believed to be the work of the great Eric Gill. If you are an enthusiast of good early 20th century devotional art, you will find much here to enjoy. 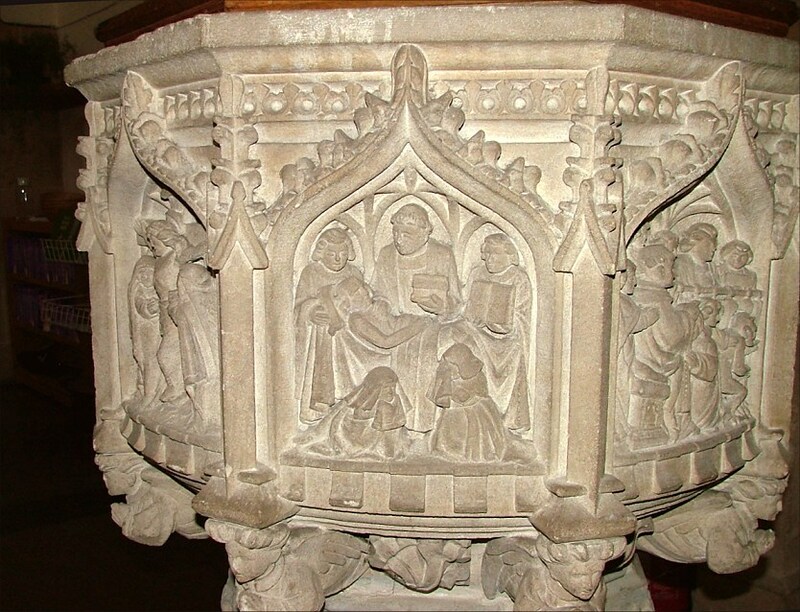 Canon MacBride's book records that many of the early furnishings were commissioned from the Stuflesser workshop at Ortisei in Italy. 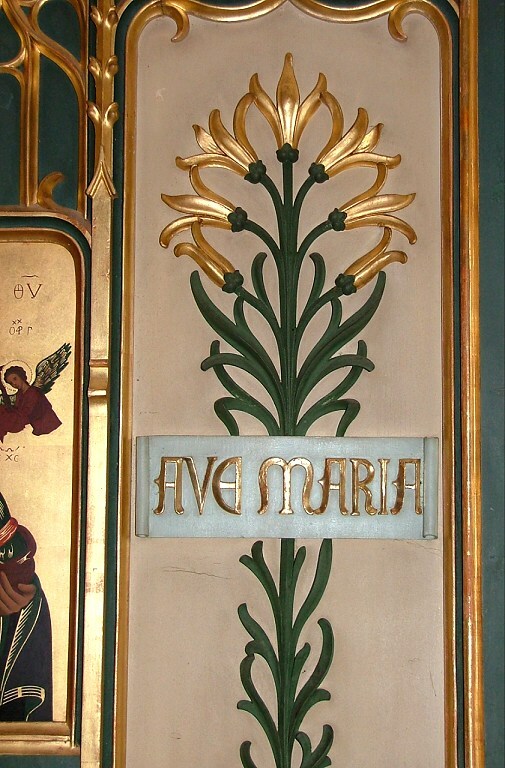 Theirs is the great rood above the entrance to the sanctuary. Theirs also are the Stations of the Cross, which spent the First World War in the hold of a German freighter impounded at Genoa. In short then, this is a marvellous building, and not to be missed by any Norfolk church explorer. 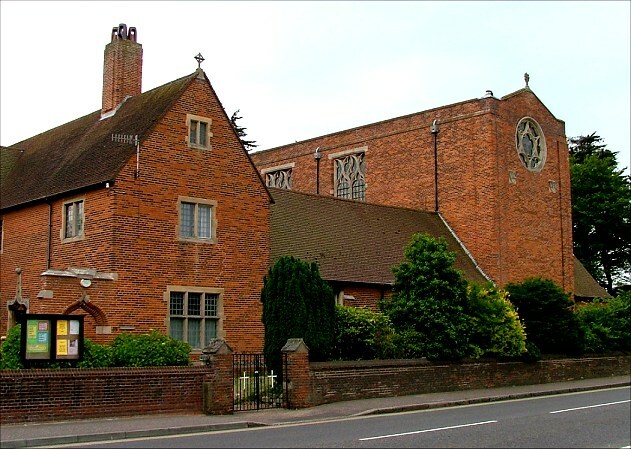 I think that, along with the Catholic church at Bungay in Suffolk, it is one of the finest of East Anglia's Catholic churches, and perhaps the best pre-WWI 20th century church in England. And, thanks to Scott, it remains Sheringham's only listed building.